The Stars Of Star Wars: Where Are They Now? Although her role as Padme was something of a speedbump in her career, Natalie Portman has since bounced back and is still considered to be one of the strongest young actresses in Hollywood to this day. Her role as Nina Sayers in Darren Aronofsky’s Black Swan earned her unanimous praise, including the Academy Award for Best Actress. Some of her most notable recent roles include playing Jackie Kennedy in the biopic Jackie and as Lena in the Sci-Fi flick Annihilation. 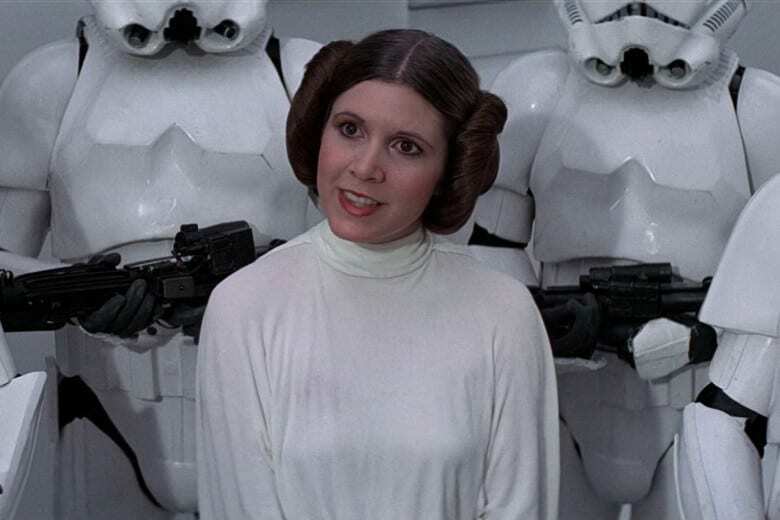 Without a shadow a doubt, Princess Leia is one of the most important female characters in the history of cinema. It was one of the first times in a blockbuster that the damsel-in-distress trope was turned on its head. When Han Solo and Luke Skywalker arrive on the Death Star to save the Princess of Alderaan, Leia proves very quickly that she can take care of herself. By the time Return of the Jedi comes around, she’s the one saving Han! After spending many years using illegal substances, Carrie Fisher died on December 23, 2016, just a few days after Rogue One: A Star Wars Story was released. 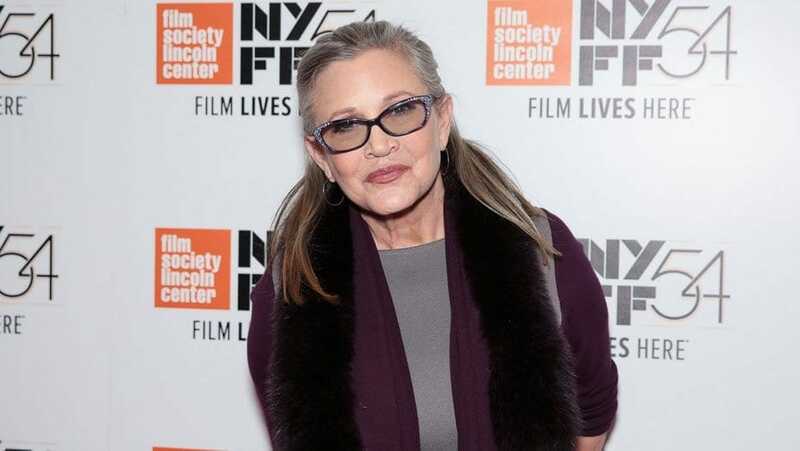 A few days after she died, it was revealed in a report that Fisher had traces of numerous substances in her bloodstream, which may have been the cause of her death. In truly poetic fashion, her last role was as Princess Leia in Star Wars: The Last Jedi, which was ultimately dedicated to her. 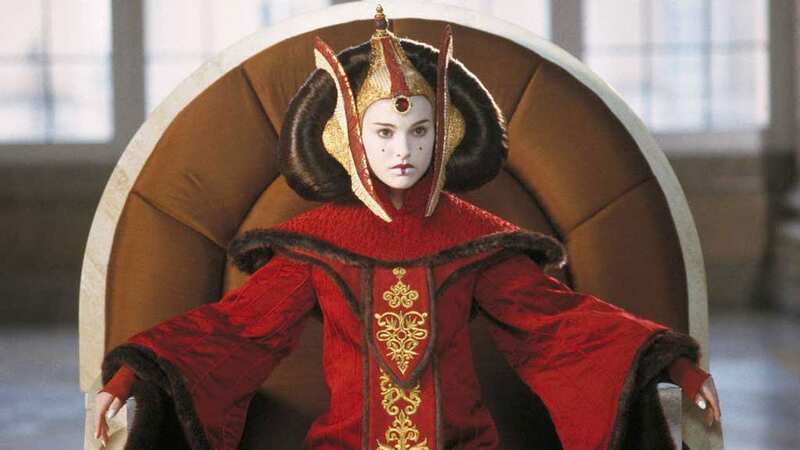 Before she became a famous Hollywood superstar in her own right, Keira Knightley had a minor role in Star Wars Episode I: The Phantom Menace as one of Queen Amidala’s servants, Sabé. 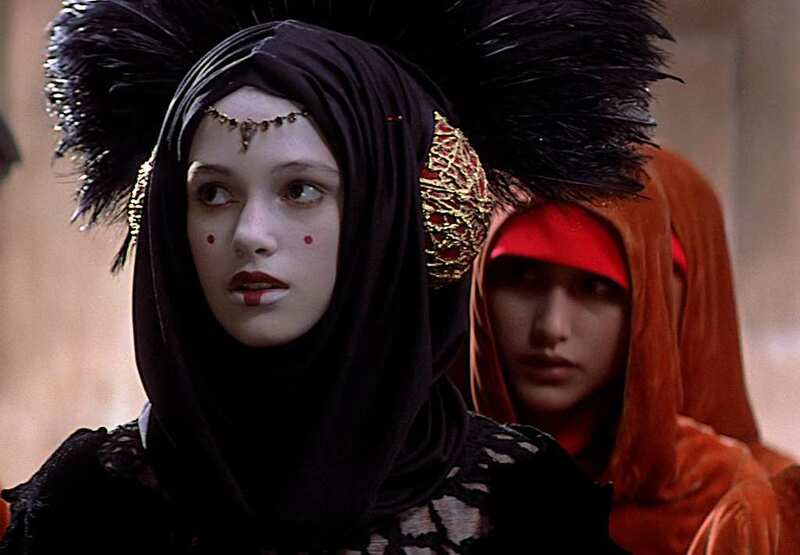 When Padme goes to persuade the Gungans to join forces to take down the Trade Federation, Padme uses Knightley’s character as a decoy, for security reasons. Sabé dresses up as Padme and is extremely convincing in the process! However, the ruse is extremely short-lived before Padme reveals herself. 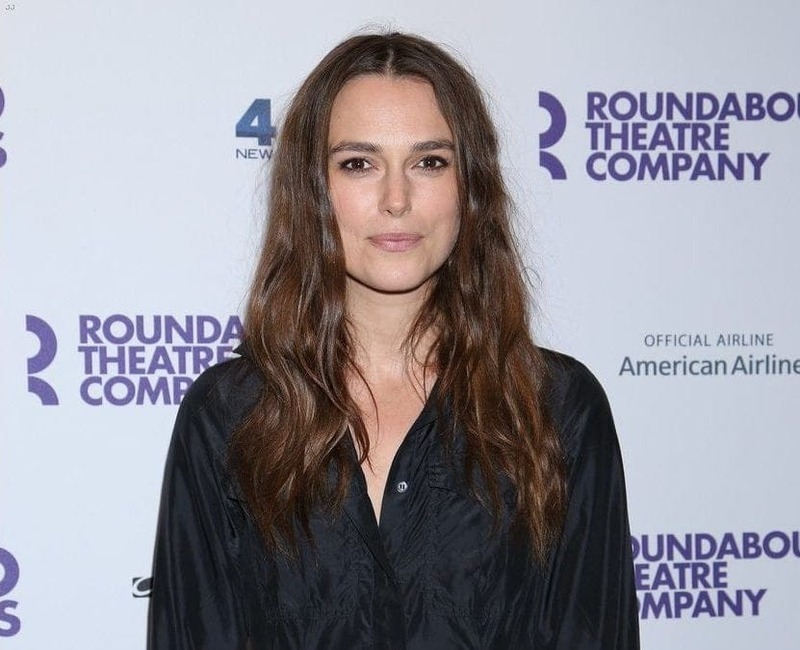 Although she had a minor role in The Phantom Menace, Keira Knightley went on to have a steadily successful acting career. She has starred in a number of high-grossing blockbusters, most notably the Pirates of the Carribean film franchise. However, Knightley has also made it clear that she is more than just a star of popcorn flicks. She was nominated for an Academy Award for Best Actress for her roles in both Pride & Prejudice and The Imitation Game. 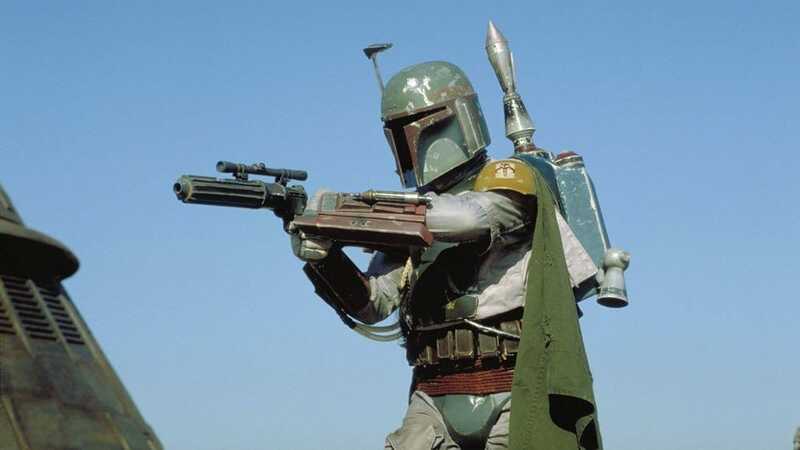 One of the most enigmatic and cool-looking characters in Star Wars history has to be Boba Fett. The Mandalorian bounty hunter burst onto the scene in The Empire Strikes Back and is ultimately the man responsible for luring the Rebels into the hands of the Empire. As a reward, Darth Vader allows Fett to take a frozen-in-carbonite Han Solo to gangster Jabba the Hutt. However, Boba Fett eventually gets his comeuppance and supposedly meets his doom after falling into the Sarlacc Pitt. 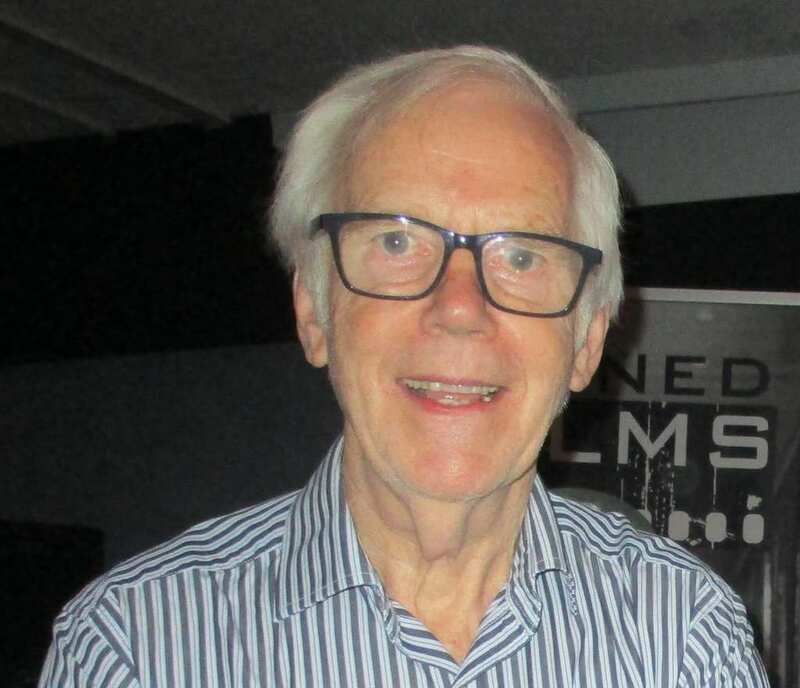 There is no doubt that Jeremy Bulloch would have been disheartened when George Lucas got Temeura Morrison to voice-dub over Boba Fett’s lines in the special edition re-release of The Empire Strikes Back. Despite this, Bulloch has remained an ambassador of all things Star Wars-related, appearing at numerous conventions. Bulloch recently appeared in the documentary Elstree 1976, which details the making of the original Star Wars movie. He has three sons, ten grandchildren, and lives with his wife in London. Arguably the most minor character on this list, Femi Taylor’s role as Oola in Return Of The Jedi was brief but gruesome, to say the least. We first see Oola at the palace of vile gangster Jabba the Hutt, the location that Luke and his friends go to rescue Han Solo. Jabba, who cares little for his people, decides to open the trap-door on Oola, who falls into a dungeon, where the monstrous Rancor ends up eating her! 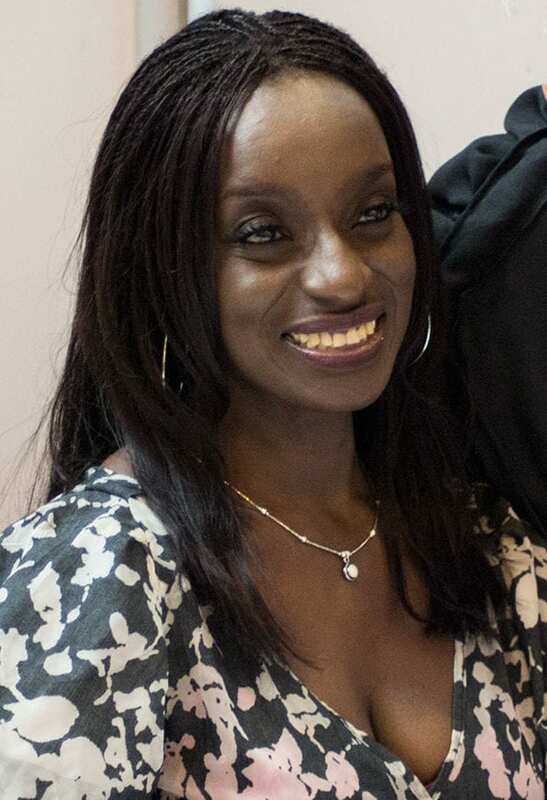 It’s fair to say that Femi Taylor’s brief role as Oola is her biggest claim to fame to this very day. The other highlight of Taylor’s acting career came in 1998 when she was cast in a TV adaptation of the popular musical Cats. In fact, her character Exotica was specifically created for her. Today, Taylor divides her time mainly between London and Denmark. She spends a lot of time in the latter after having two kids with her Danish partner Claus Skytte Kamper. Arguably the most hated Star Wars character of all time, Jar Jar Binks is a fine example of a filmmaking experiment gone wrong. While making the prequels, George Lucas was determined to push the envelope when it came to visual effects and it was the first time that a Star Wars movie had a fully CGI-generated character. 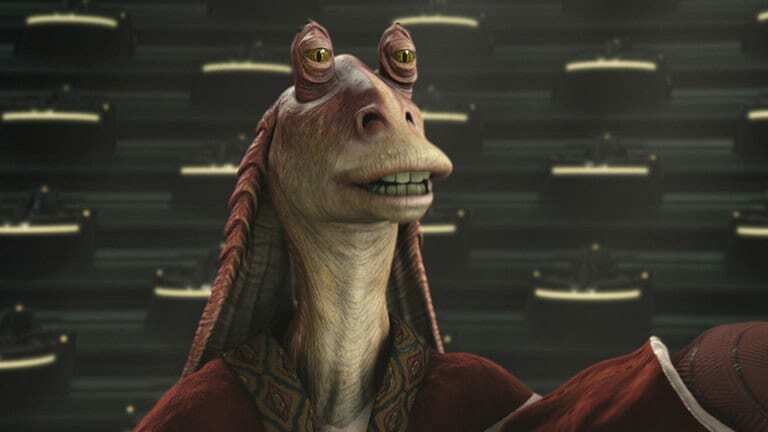 Although Ahmed Best did his best to bring the character of Jar Jar to life, the Gungan’s aim to be the comic relief ended up just falling flat. 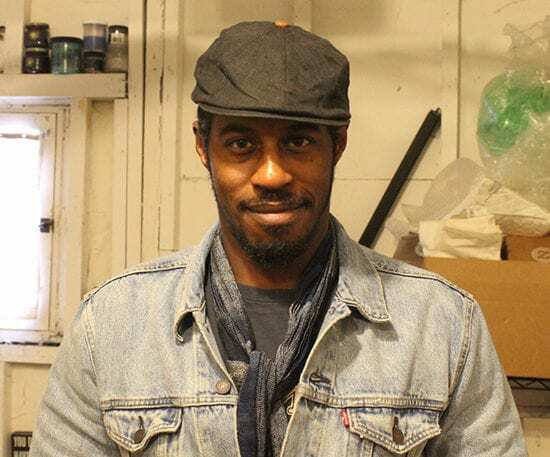 Another actor whose career was severely damaged after his role in The Phantom Menace, Ahmed Best has struggled to shake off the stink that was caused by his CGI fail that was Jar Jar Binks. However, Best has managed to poke fun at his early acting faux pas, having lampooned the role in the popular animated spoof series Robot Chicken. Best has appeared in TV shows such as Law & Order: LA and even reprised the role of Jar Jar in the Disney Infinity 3.0 video game in 2015. It may have been James Earl Jones who provided the classic voice for the dark lord of the Sith. However, it was David Prowse who was the man who wore the suit and helmet. 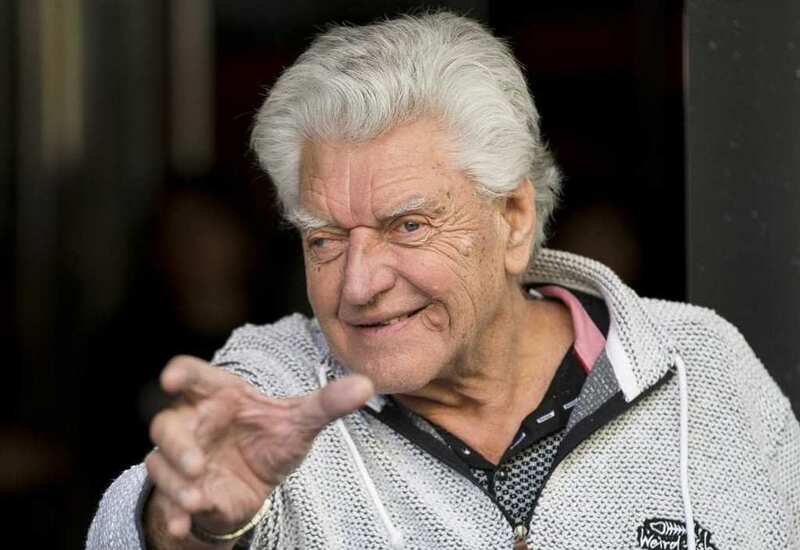 Despite filling the boots of one of the most famous villains of all time, David Prowse has lived a fairly humble life since his time working under George Lucas came to an end. Amazingly, many casual and diehard fans have ignored Prowse’s contribution to the franchise. This is mainly because he was never actually seen and James Earl Jones lent his voice for the role. Prowse spoke at length about these issues in his documentary I Am Your Father. 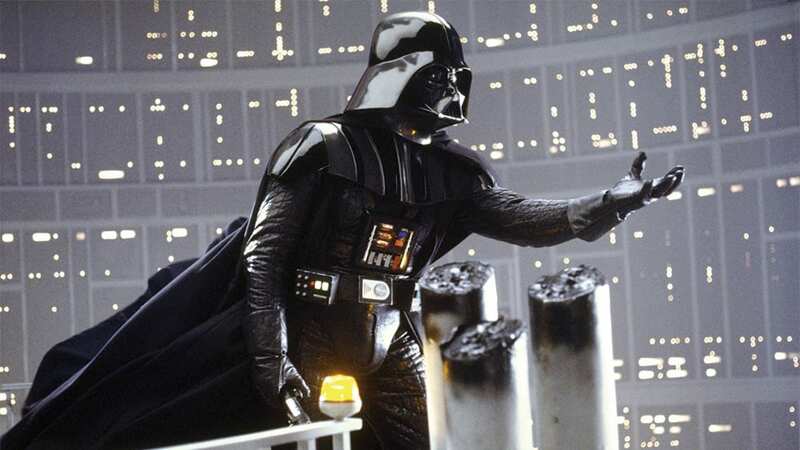 Fans who watched Star Wars when it first came out were in shock when they realized that Darth Vader wasn’t actually the big bad of the story. 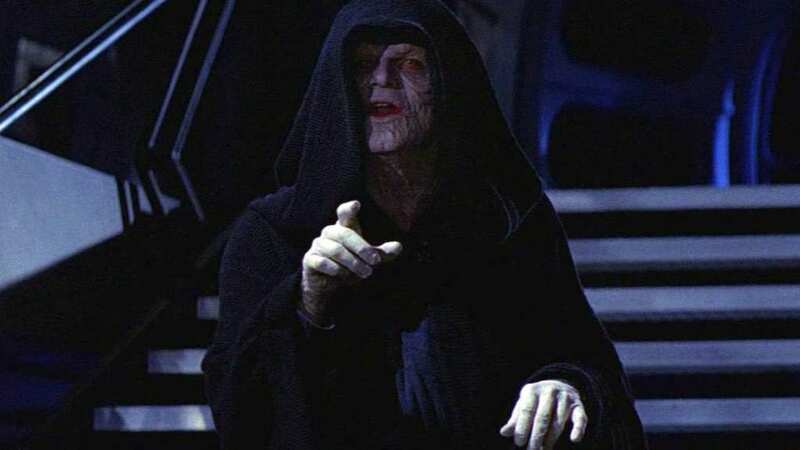 In fact, it was The Emperor, who Ian McDiarmid made his own in Return Of The Jedi. Then, when George Lucas made the prequels, he brought back McDiarmid to play a younger version of The Emperor, before the Empire had even been formed. The Emperor is certainly one of the best bad guys in film history. 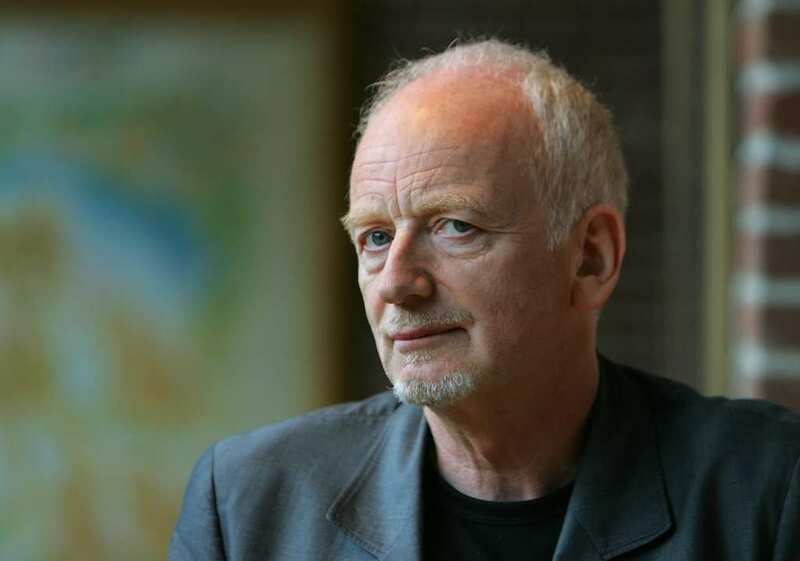 Outside of his role as The Emperor/Sheev Palpatine, Ian McDiarmid has consistently been involved in the world of theatre, starring in a long list of productions right up until this very day. Some of his most recent stage roles have come in shows such as Life of Galileo, Merchant of Venice and What Shadows. After a seven-year break from live action motion pictures, McDiarmid landed the role of Sir George Goldie in 2016’s The Lost City of Z. Long before Anakin Skywalker became Darth Vader, he was just a simple kid who lived as a slave with his mother Shmi Skywalker, who was played by Swedish actress Pernilla August. It was in Episode II: Attack Of The Clones that tragedy truly turned its head. When an older Anakin goes back to Tatooine to try and free his mother, he finds that she has been kidnapped by the Tusken Raiders. She dies in his arms, which pushes him further down the dark side. 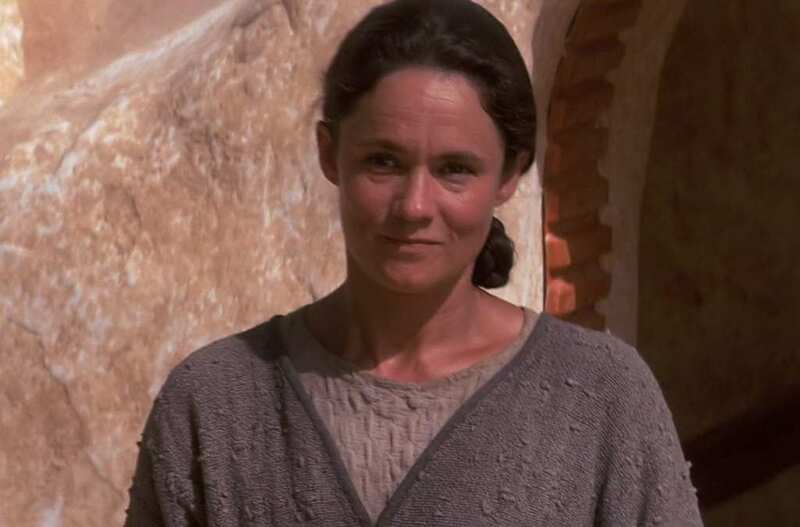 Although Pernilla August wasn’t the subject of backlash from fans and critics the same way that Jake Lloyd and Ahmed Best were, she didn’t exactly make a big splash in Hollywood after her role as Shmi Skywalker. Nevertheless, she is still considered one of the best actresses to have come out of Sweden, and in 2002, was awarded the Royal Swedish medal Litteris et Artibus for her work in the arts. August has three daughters from two different marriages. If there is a cooler guy in the hole of Star Wars, then we’d like to know. Han Solo met his match when he was reunited with his old buddy Lando Calrissian in The Empire Strikes Back. 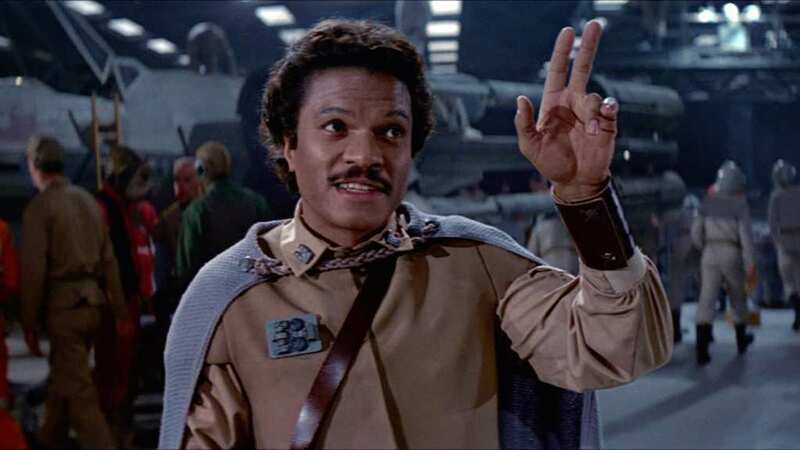 Although Lando seems excited to help the Rebels, he is ultimately forced to betray them. However, he quickly redeems himself and helps Luke and Leia rescue Han before also helping the Rebel Alliance blow up the second Death Star. 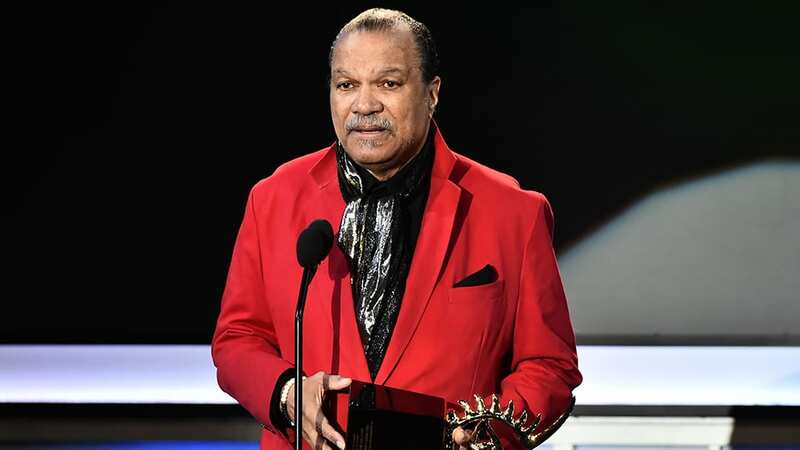 Even in his 80s, Billy Dee Williams remains a busy figure in the world of show business. In the last decade alone, he has had roles in both The Lego Movie and The Lego Batman Movie, reprising past roles of his – Lando Calrissian and Harvey Dent, respectively. He has also appeared in shows such as NCIS, Modern Family, and Glee, to name a few. Billy Dee remains a loyal member of the Star Wars family, appearing in numerous media as Lando. 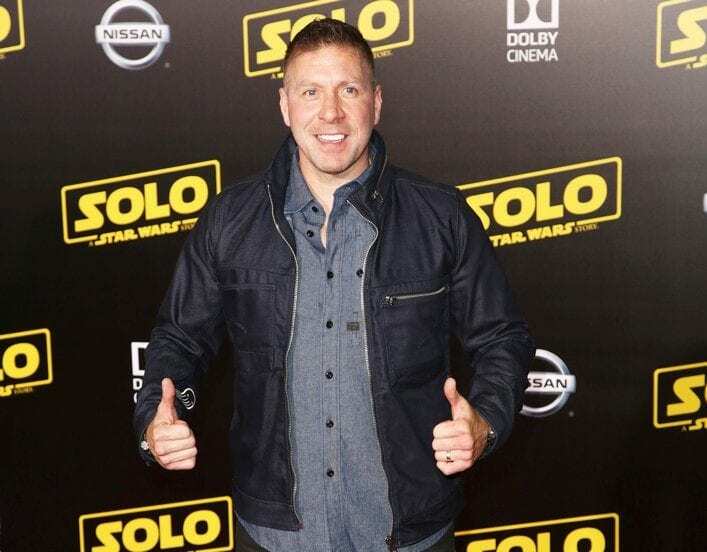 Another Star Wars actor who is continuously waving the Lucasfilm flag to this very day, Ray Park has remained a busy figure in film, often putting his martial arts to good use. He has appeared in numerous movies such as G.I. Joe: The Rise of Cobra, Mortal Kombat: Legacy and Accident Man. 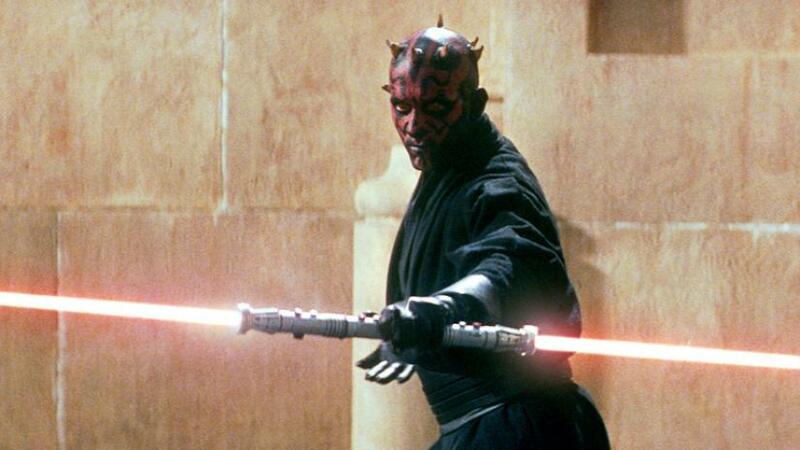 Most recently, Park reprised his iconic role of Darth Maul in the spinoff Solo: A Star Wars Story, shocking many casual fans who assumed he had died in The Phantom Menace nearly 20 years ago. It seems like Harrison Ford has had a new lease of life ever since reprising his role as Han Solo in Star Wars: The Force Awakens. Not only did he return to one classic franchise, but he has also returned to two others. In, 2017 he reprised his role as Rick Deckard in the long-awaited sequel to 1982’s Blade Runner – Blade Runner 2049. 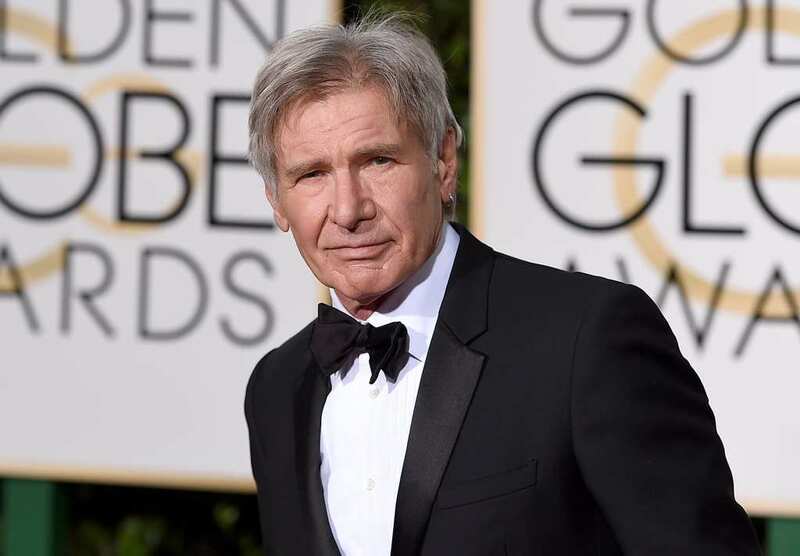 Ford is also scheduled to star once again as Indiana Jones in the fifth installment of the franchise in 2020. In Return of the Jedi, the Rebels go on a mission to the moon of Endor to disable the deflector shield of the second Death Star. When the group gets split up, Princess Leia encounters an Ewok, played by 11-year-old Warwick Davis. 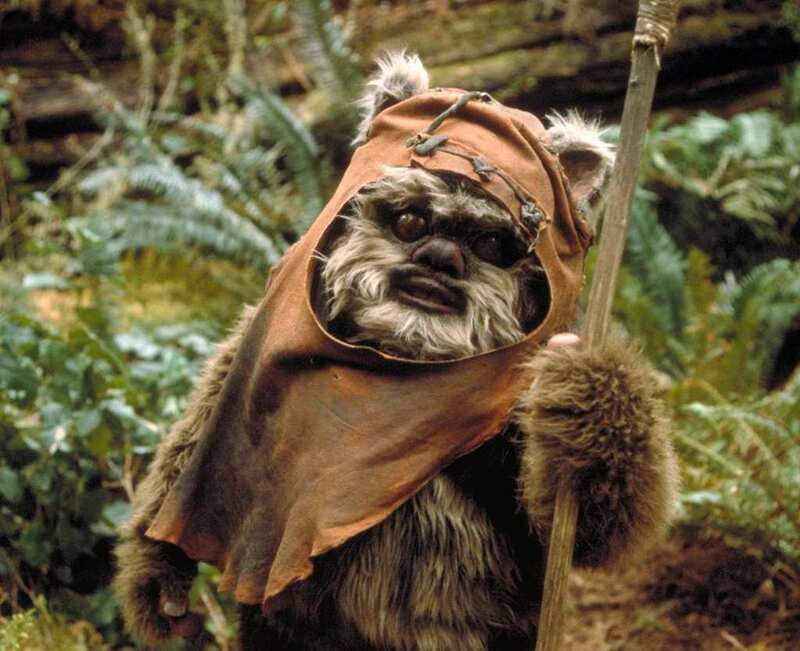 Eventually, the Rebels join forces with the Ewok tribe and help each other to take down the Stormtroopers on the moon. The last scene of Return of the Jedi sees the Rebels celebrating with the Ewoks. 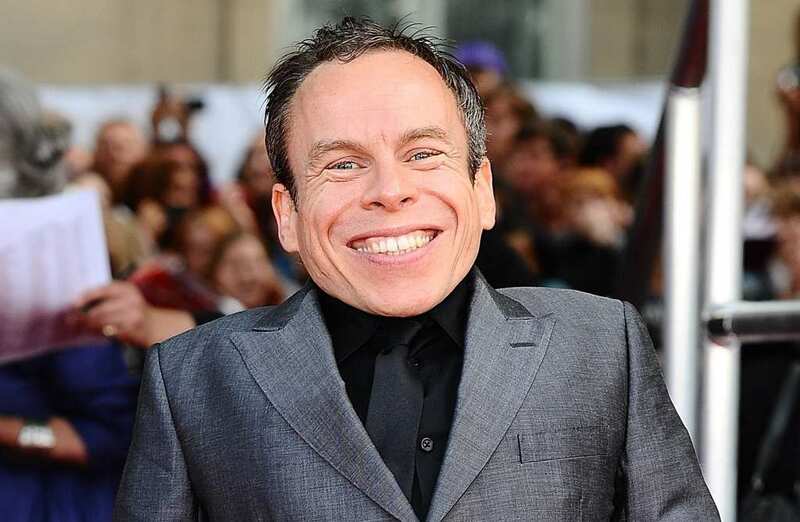 Without a shadow of a doubt, Warwick Davis is the most successful little person in Hollywood. The talented actor has been a regular star in Star Wars movies, playing a variety of characters with names beginning with “W.” He has been in every single Star Wars movie since Disney bought Lucasfilm in 2014. Davis was also Professor Filius Flitwick in the Harry Potter franchise, appearing in seven of the movies. His most recent role was in the animated movie Moominvalley. The second installment of the Star Wars prequels, Attack of the Clones, gave fans a completely unnecessary insight into the origins of the bounty hunter Boba Fett. Apparently, another bounty hunter by the name of Jango Fett was used to create a clone army and he took one of those clones and called him his son. When the clones, the Jedi, and the Separatist droids have the first battle of the Clone Wars, Mace Windu decapitates Jango. 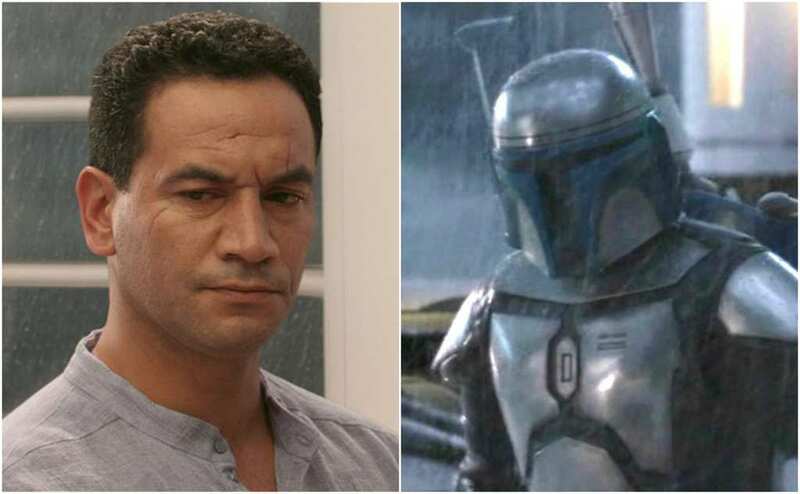 Although Jango Fett died in Attack of the Clones, Temuera Morrison was able to play a variety of other clones in the following movie, Revenge of the Sith. 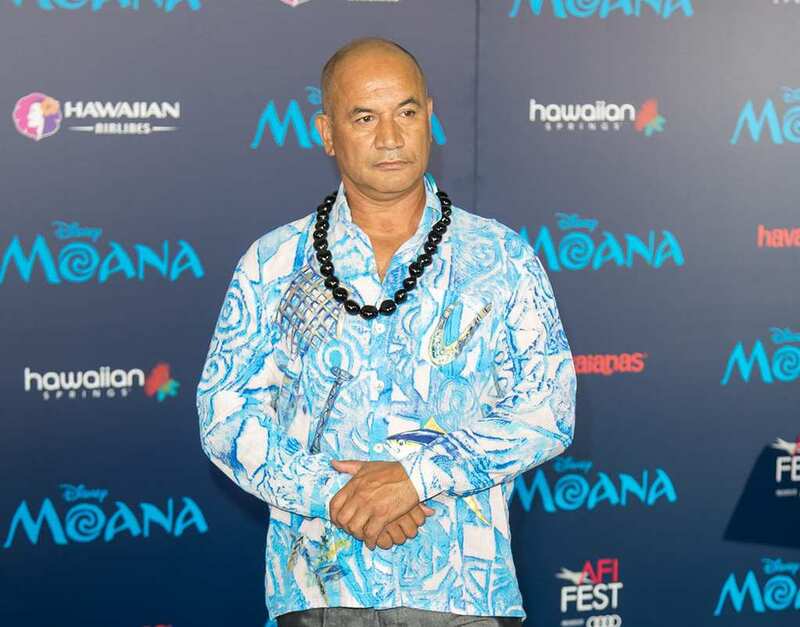 Since his time in Star Wars came to an end, Morrison has appeared in movies such as The Scorpion King 3: Battle for Redemption, Green Lantern, and Disney’s Moana. He has an upcoming role as Thomas Curry in the up-and-coming DC movie Aquaman. Morrison has been in a relationship with Ashle Howden-Sadlier for nearly a decade. For many, Wedge Antilles is the unsung hero of the original Star Wars trilogy. What a lot of casual fans forget is that Wedge was one of the only characters who was involved in all three major battles involving X-Wings and Tie Fighters. 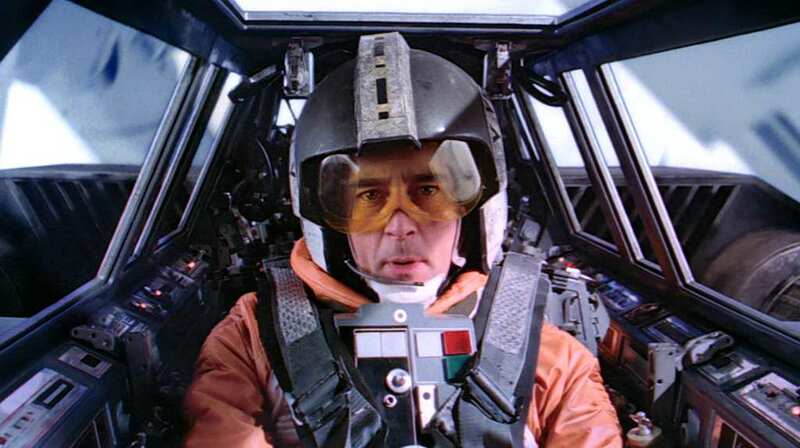 Of course, in the first movie back in 1977, Denis Lawson’s character flew alongside Luke Skywalker in that classic trench run. However, he was a key figure in the squadron that blew up the second Death Star in Return of the Jedi. 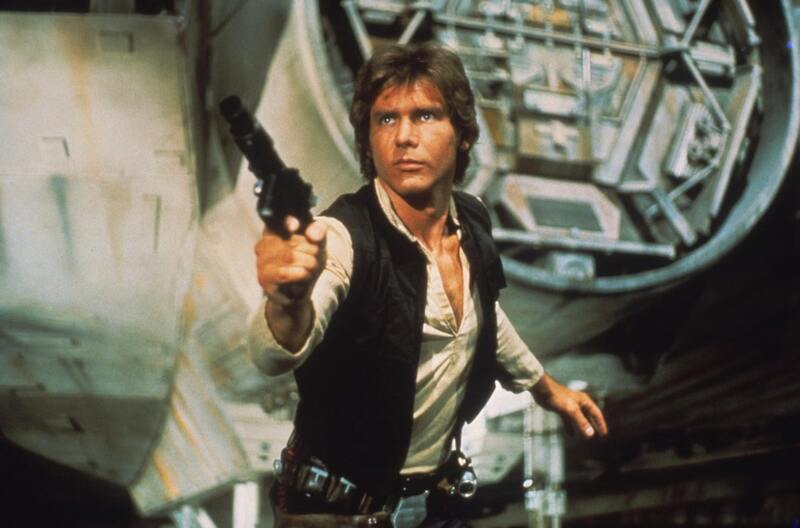 When it was announced that new Star Wars films were in production after Disney bought Lucasfilm, many were excited to see classic characters such as Luke Skywalker and Han Solo return as older versions. 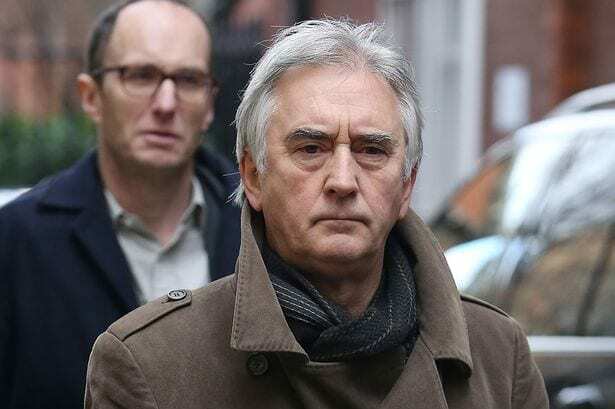 One actor who was called to reprise his classic role was Denis Lawson. However, the Scottish actor ended up rejecting the role, claiming that “it just would have bored me.” In recent times, Lawson has appeared in shows such as Victoria and Death in Paradise. 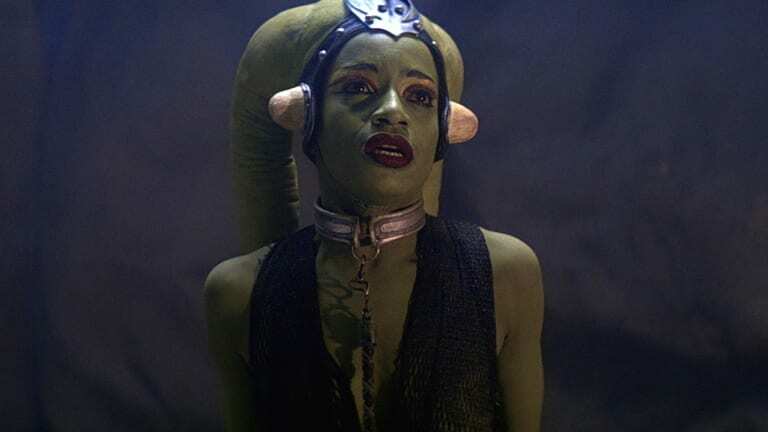 At a time when the only other main female character in Star Wars was Princess Leia, Caroline Blakiston’s addition to the cast of Return of the Jedi was certainly a welcome one. Although her role was fairly brief, there is no denying that Mon Mothma was a very important character, essentially being the leader of the Rebel Alliance. Due to her tactical awareness, and a little bit of help from The Force, the Rebels ended up defeating the Empire. 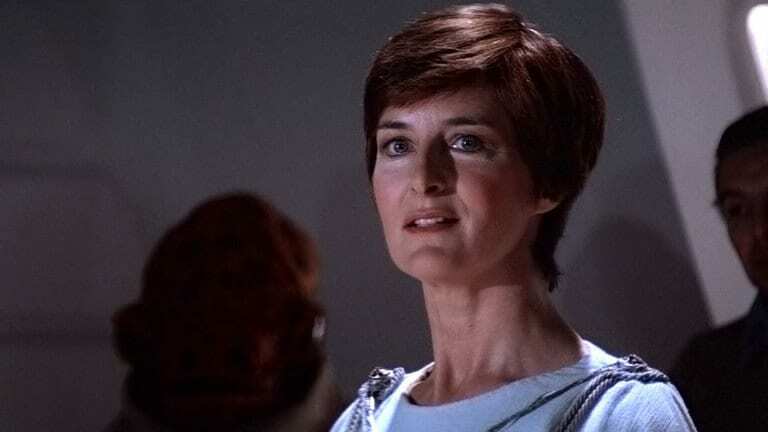 Ever since appearing as Mon Mothma in Return Of The Jedi, Caroline Blakiston has maintained a fairly quiet acting career, with her only other movie after her Star Wars role coming in 1987’s The Fourth Protocol. Despite this, Blakiston has had a lot more success on the small screen, appearing in TV shows such as Brass, Holby City, and Casualty. 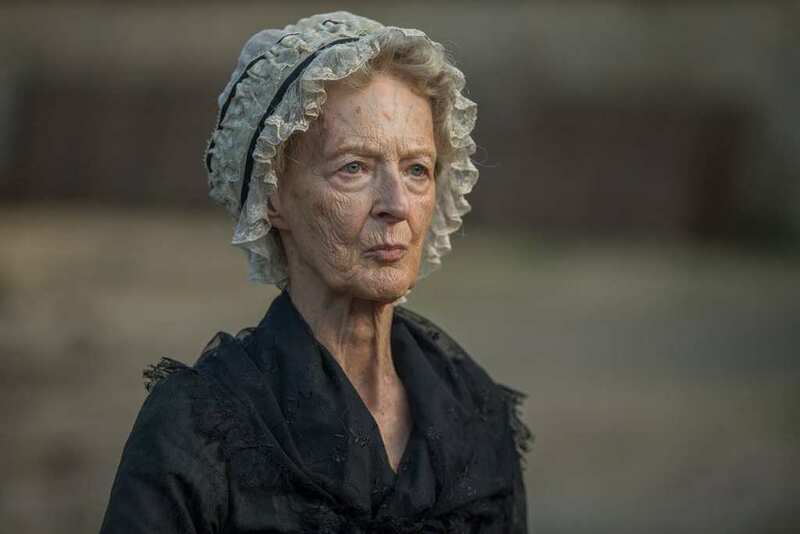 One of her most notable roles of late has been as Aunt Agatha in the period drama Poldark. Sir Alec Guinness may be the version of Obi-Wan Kenobi that original fans fell in love with. 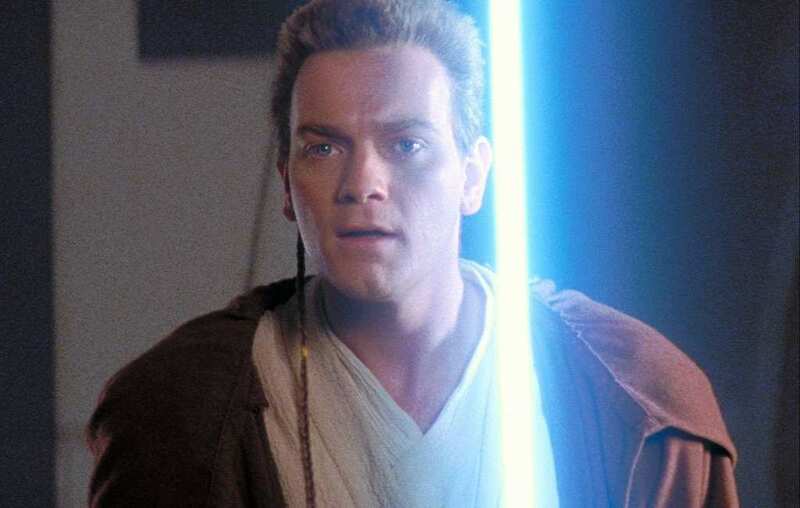 But for many, Ewan McGregor as the younger version of Obi-Wan was one of the best things about the prequels. Before he guides Luke to help defeat Darth Vader and the Emperor, he takes young Anakin Skywalker under his wing. However, even he can’t stop Anakin from turning evil and ultimately is the last nail in the coffin in Anakin’s fall to the Dark Side. 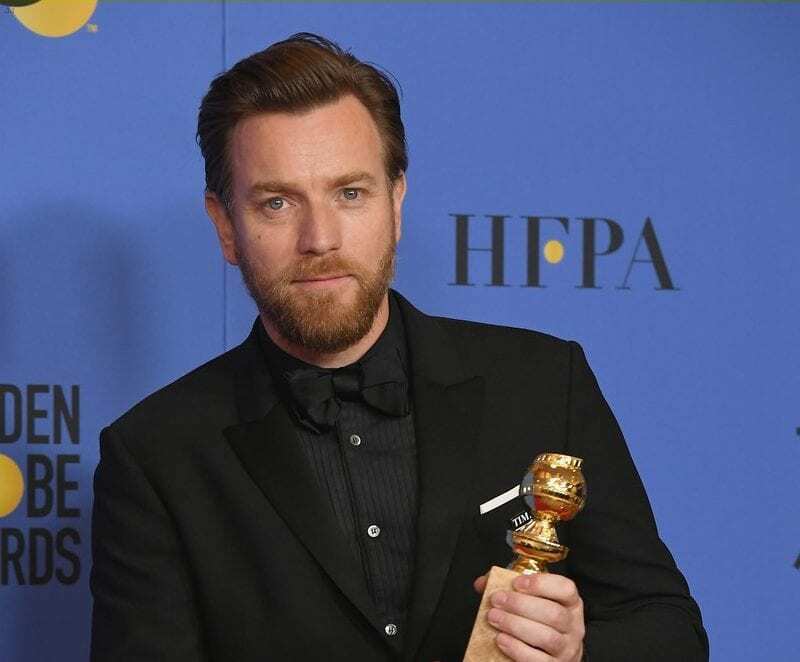 Another actor who had something of a renaissance in recent times is young Obi-Wan himself, Ewan McGregor. In all honesty, the man from Scotland has maintained a steady acting career. However, in the last couple of years alone, McGregor has starred in a number of notable movies. These include T2 Trainspotting, Beauty and the Beast and Christopher Robin. He also had a key role in season three of Fargo. In 2020, McGregor will play Danny Torrance in the sequel to The Shining – Doctor Sleep. For many, Luke Skywalker is the greatest fictional hero of the last 50 years. 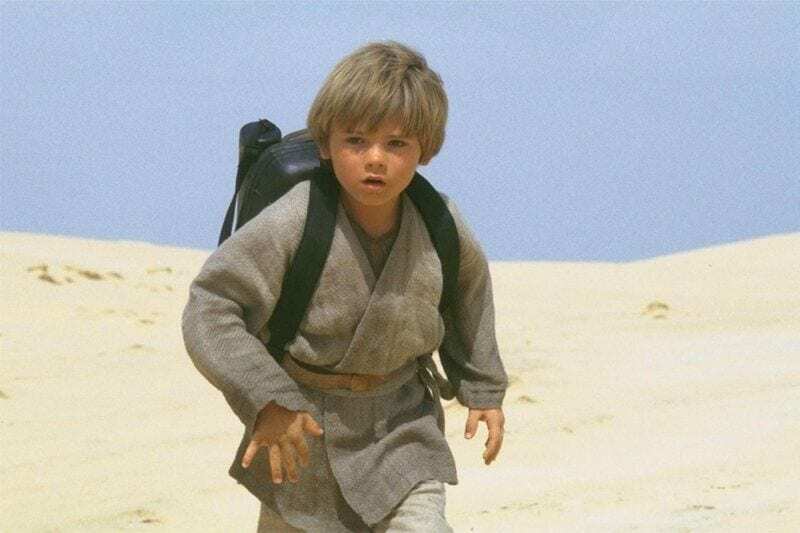 Mark Hamill’s character starts off as a young farmboy on Tatooine who follows Old Ben Kenobi on an adventure to save Princess Leia. However, Luke soon learns many things, not just about the Force, but about himself. 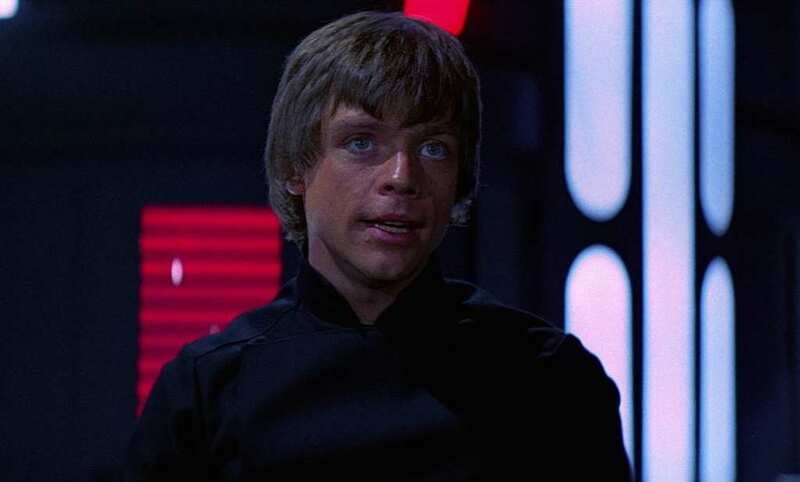 By the time Return Of The Jedi comes around, Luke is a strong Jedi Knight and eventually confronts his father, Darth Vader, on the second Death Star. The actor who has probably benefited the most from Star Wars’ recent resurgence is Mark Hamill. He has been extremely critical about the way Luke Skywalker has been handled in the sequel trilogy. However, there is no denying that Hamill has received a lot of work in the last couple of years. 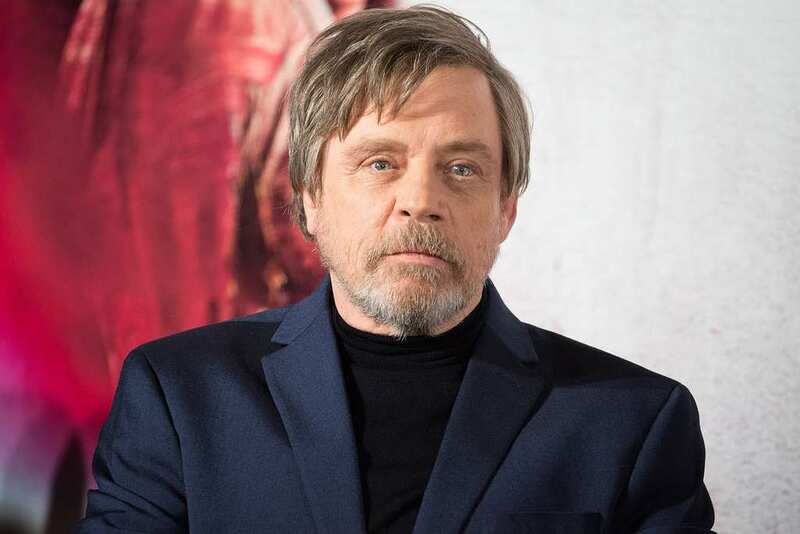 After having a minor role in Kingsman: The Secret Service, Hamill also had cameos in shows such as CW’s The Flash and The Big Bang Theory. Chewbacca is undoubtedly the loyal dog of the Star Wars universe. Like his partner Han Solo, Chewie gets caught up in a bigger adventure than he could’ve possibly imagined, helping Luke and Leia in their fight against The Empire. Peter Mayhew brought a wonderful howl to the Wookie character that has since become one of the most iconic sounds in cinema. Eventually, we see Chewie on his native planet of Kashyyk in the prequel Revenge Of The Sith. 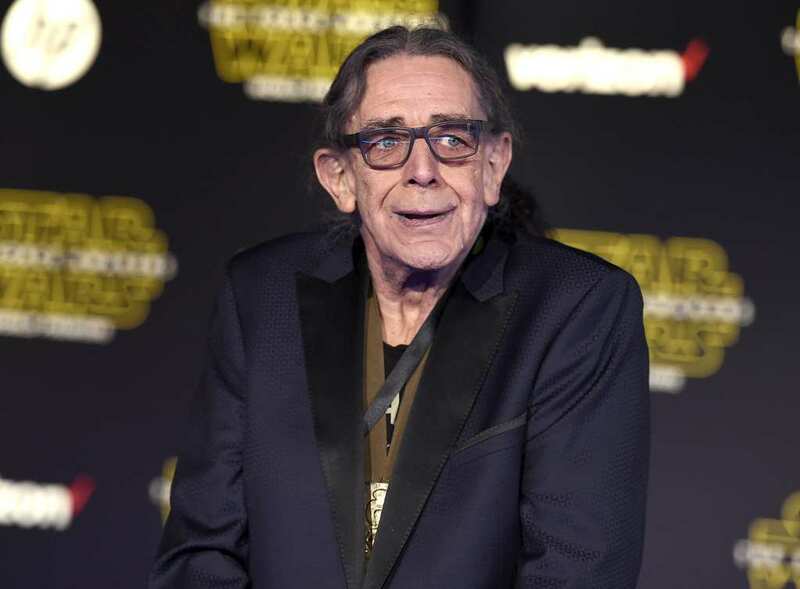 Another star from the original trilogy to reprise his role in the most recent run of movies, Peter Mayhew had some trouble on the set of The Force Awakens. Due to his health issues in recent times, Mayhew only wore the Wookie suit for scenes that required minimal movement. As a result, Joonas Suotamo did the remaining scenes involving Chewbacca and has since taken over the role. 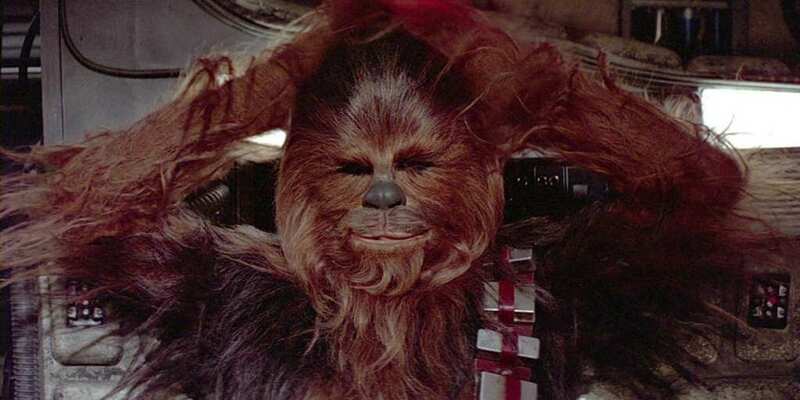 It is likely though that Mayhew will play Chewie one more time in Episode IX. There is no doubt that C-3PO is one of the classic components of Star Wars culture. In fact, C-3PO and droid buddy R2-D2 are the very first characters we see in the original Star Wars, back in 1977. After their ship is invaded by Darth Vader and his Stormtroopers, Threepio and Artoo get into an escape pod and end up on the planet of Tatooine. It is here that they eventually meet Luke Skywalker and put the classic story into motion. 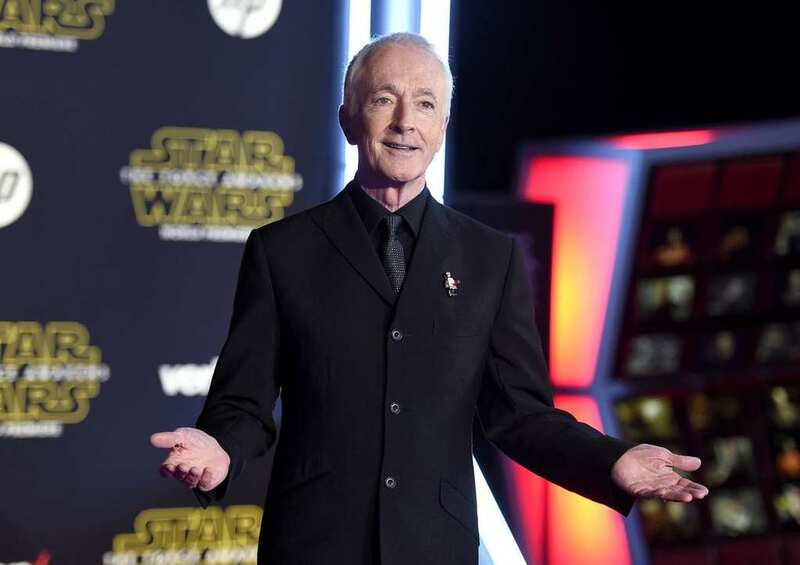 To this date, Anthony Daniels remains the only actor from 1977’s Star Wars to star in every other movie in the franchise. Although he didn’t reprise the role of C-3PO in Solo: A Star Wars Story, Daniels did have a minor cameo as Tak. 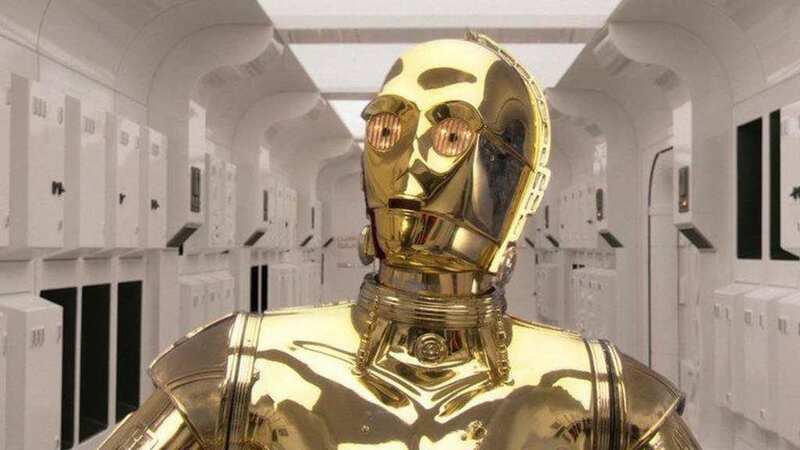 He also voices the role of Threepio in many other forms of Star Wars media, such as the animated shows and video games. Outside of acting, Daniels is an adjunct professor at the Entertainment Technology Center at Carnegie Mellon University. Star Wars is a classic movie, but The Empire Strikes Back adds so much more to how we look at The Force. One of the most important characters in that movie is Master Yoda, who Luke Skywalker visits on Dagobah. However, Yoda is at first apprehensive to teach the young character as he is worried that he will follow down the same path as his father. Frank Oz brought the puppet character to life in the most beautiful way. 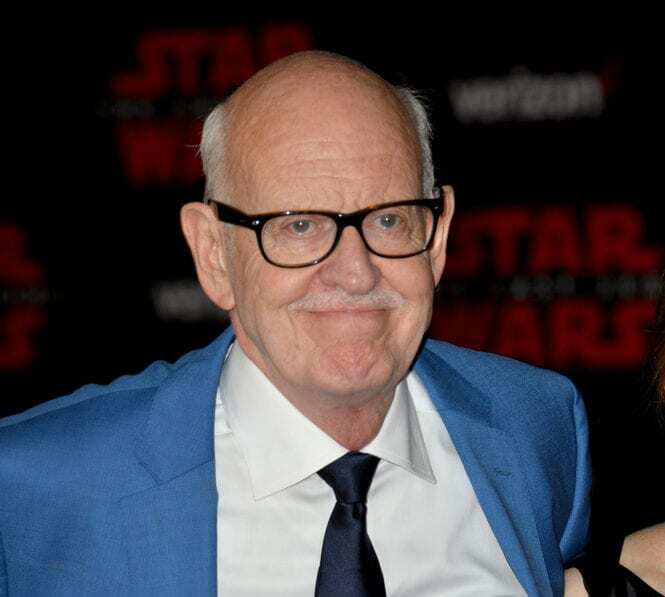 Many fans were shocked when Frank Oz didn’t return to reprise Yoda in Star Wars: The Force Awakens. However, Rian Johnson soon corrected this when he brought the character back to life in Star Wars: The Last Jedi. In recent times, Oz has had voice roles in movies such as Zathura and the Academy Award-winning Inside Out. However, he has also directed the critically-acclaimed movie Death At A Funeral as well as the TV series Leverage. As of 2012, Oz has resided in Manhattan. Due to the ten-year time gap between The Phantom Menace and Attack Of The Clones, it made sense for George Lucas to recast the character of Anakin Skywalker. 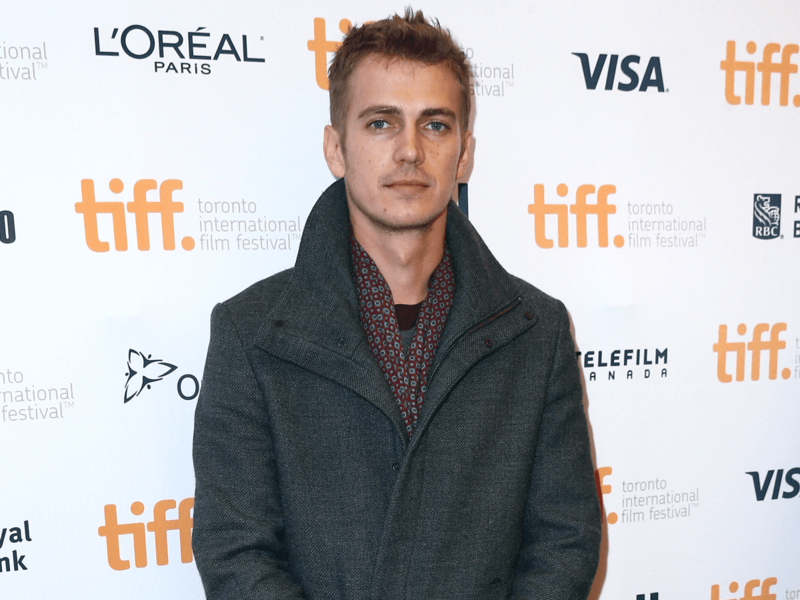 As a result, he cast Hayden Christensen as the teenage version of the Jedi character. After meeting harsh criticism for his portrayal of Anakin in Episode II, critics praised Christensen for giving a better performance in Revenge Of The Sith, which saw Anakin’s complete Dark Side transformation into Darth Vader. 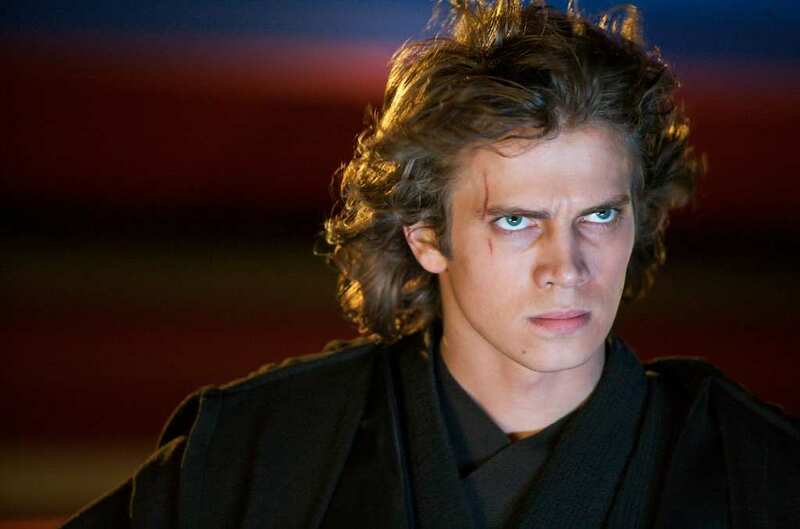 Many would say that Hayden Christensen’s role as Anakin Skywalker came too early in his career. Also, George Lucas’s poor handling of his role severely damaged his acting prospects moving forward. After Revenge Of The Sith, opportunities for the Canadian actor came few and far between. In 2007, during the production of Jumper, Christensen started dating Rachel Bilson. However, after a decade together, the couple decided to go their separate ways. Christensen is open to reprising his role as Anakin in the future. 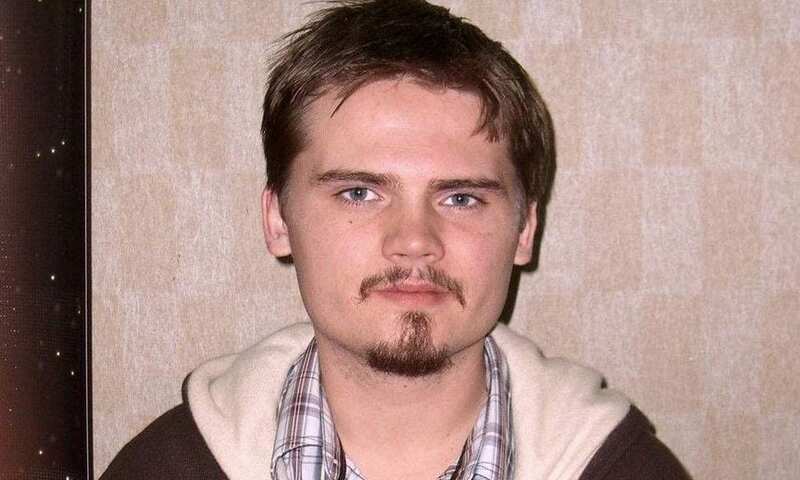 Sadly, Jake Lloyd was on the receiving end of some of the harshest criticism from the public after his one-off performance in The Phantom Menace. In 2001, the child actor decided to retire from acting after being the victim of intense bullying at his school. Lloyd has also had a number of run-ins with the law, having been arrested in 2015 for reckless driving and driving with a license. He was eventually diagnosed with schizophrenia after being moved into a psychiatric facility.